I’ll never forget what my doctor told me at my 2-year-old’s well baby check. There are two things as a parent you can’t control: What goes in and what goes out. At the time we were dealing with a picky eater, so controlling the amount of fiber she was eating was impossible. This manifest itself in an unhappy, constipated toddler. We’ve dealt with constipation in our house off and on ever since. Now that she is in school, she has days when she is sitting in classrooms and not moving enough. Not to mention she doesn’t like actually using the restroom at school. Not moving and not going when you need to go contributes to occasional constipation. 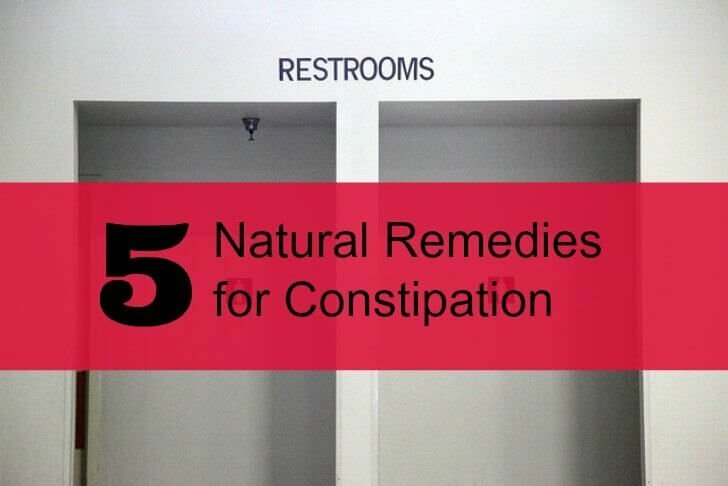 Thankfully, my daughter is no longer 2 and she knows these natural remedies for constipation. Being dehydrated contributes to constipation. A good rule of thumb when you are constipated is to take your weight and divide it by 2. Whatever that number is, aim to drink that many fluid ounces of water. Constipation is often accompanied by upset tummies. Drinking plenty of ginger tea for part of your liquid intake can help. Definitely avoid caffeinated beverages, as they will contribute to dehydration. Most of us find ourselves sitting during work or school. This can exacerbate any constipation symptoms you are experiencing. Getting up and moving is excellent for your digestive process. When taken as a supplement, magnesium helps neutralize stomach acid and moves stools through the intestine. 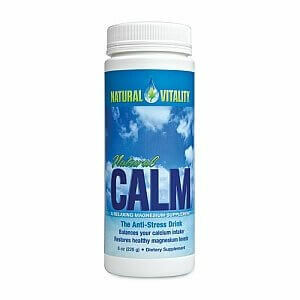 Our favorite way to get magnesium is with the Natural Calm supplement. It tastes great and regulates bowel movements. Flax is a highly fibrous food. It’s inexpensive and can be found in any grocery store. Make sure you buy ground flax seeds, otherwise the seeds will just pass through without doing the work. We like to top our smoothie bowls with the seeds. Because flax seeds are so fibrous, it’s important to remember to drink plenty of liquids on days you add them to your diet. Slippery elm is the inner bark of a tree. When ingested, it stimulates mucous secretion which is helpful for stomach and intestinal problems. For proper dosage, please follow the recommended amounts on the supplement bottle. As with any medical condition, I try a balanced approach between natural remedies and seeking medical advice. If after trying these remedies you don’t experience relief, please see your practitioner.